Compare electricity and gas providers on customer satisfaction. 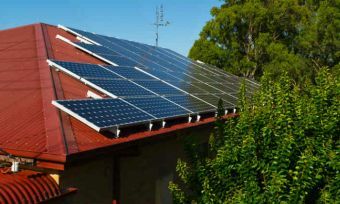 AGL, Alinta Energy, ActewAGL, Click Energy Dodo Power & Gas, EnergyAustralia, Lumo Energy, Momentum Energy, Origin, Red Energy and Simply Energy rated on bill & cost clarity, customer service, value for money and more. 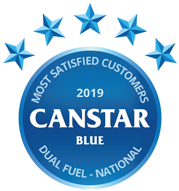 Canstar Blue research finalised in January 2019, published in April 2019. Momentum Energy has climbed to the top of our customer ratings table for electricity & gas providers in Australia. Momentum got five-star reviews on factors including its bill & cost clarity, customer service and value for money, leading the way from 10 other energy retailers on overall satisfaction. If you can pay for your electricity and gas with just the one provider – rather than two – it makes perfect sense, right? Well, only if you’re getting a good deal from that one retailer. When it comes to energy, it’s all too easy to ‘set and forget’ and end up paying too much, so you’ll need to keep your eyes peeled and regularly compare your options. 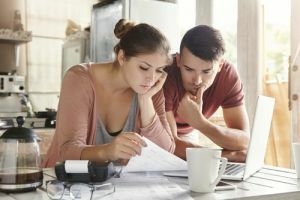 Dealing with just the one provider for both electricity and gas may even increase your chances of becoming complacent, but as long as you’re getting a good deal, it could prove financially beneficial – and of course convenient. Momentum Energy emerged a clear winner of our 2019 electricity and gas providers review, scoring five stars from customers across all research categories. It was four stars overall for Dodo Power & Gas, Alinta Energy, Red Energy, Simply Energy and Lumo Energy, with Origin, Click Energy, EnergyAustralia, AGL, and ActewAGL all scoring three stars overall. Owned by renewable energy generation company Hydro Tasmania, Momentum was the only provider in our electricity and gas review to score five stars in any area, including bill & cost clarity, customer service and value for money. The Melbourne-based retailer has a reputation for ‘keeping things simple’ at a time when comparing electricity and gas plans can be anything but. And even though its plans avoid discounts, Momentum is often competitively-priced across the states that it serves. At a time when power prices are a hot political issue, you won’t be surprised to learn that value for money was found to be the greatest driver of customer satisfaction identified from the survey, followed by bill & cost clarity and then customer service. Just because you’re getting a cheap price doesn’t necessarily mean you’re getting good value from your retailer if it doesn’t respond to your emails or pick up the phone in a timely manner. That’s why our ratings are helpful because they provide a real-world insight into what you can expect from the providers compared. You’ll never know how good, or bad, an energy provider is until you sign up, so this is as close as you’ll get. Keep in mind that – while our ratings include 11 of the most prominent electricity and gas retailers – you may find others operating in your area. Read on for details. 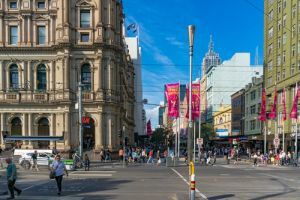 Victorians currently have the greatest choice when it comes to electricity and gas providers, with the big three – AGL, Origin and EnergyAustralia – becoming increasingly challenged by several smaller suppliers that continue to chip away at their market share. The following offer both electricity and gas packages in Victoria. 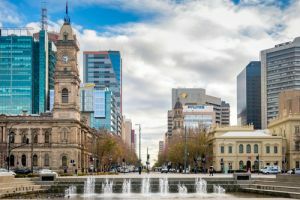 South Australians have fewer electricity and gas options to choose from than households in other states, but there is still healthy competition if you choose to get both energy sources from one retailer. In Queensland, the only three retailers that offer dual fuel electricity and natural gas plans are Origin, AGL and Red Energy. 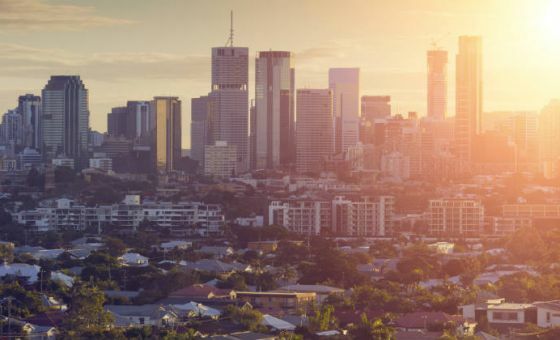 They provide natural gas across much of south east and regional Queensland, but when it comes to electricity, Ergon Energy remains the sole retailer in regional areas. In the Brisbane area, there are about 20 electricity providers competing for customers, helped by the lifting of price regulations in 2016. ActewAGL is the most prominent dual fuel provider in the ACT, although Origin, EnergyAustralia, Red Energy, Energy Locals and Power Club also now compete for energy customers. There are currently just two electricity retailers operating across Tasmania, namely Aurora Energy and 1st Energy. The Tasmanian energy market allows for others retailers to compete for customers, but 1st Energy is currently the only one to have done so. When it comes to gas, Aurora is joined in competition by Tas Gas. 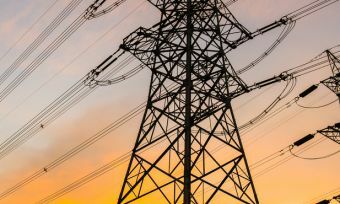 The Western Australia energy market is rather more complicated than the eastern states, with just one electricity provider in the Perth area (Synergy) and just one in regional areas (Horizon Power). 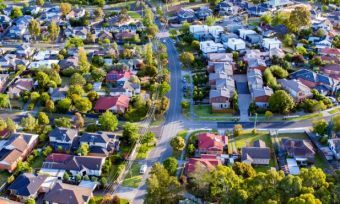 However, several companies now compete for gas customers – namely Origin, AGL, Kleenheat, Alinta Energy and Simply Energy. Our ratings for electricity and gas (dual fuel) providers are based on the feedback of customers in NSW, VIC, SA, QLD, TAS and the ACT. Buying electricity and gas from the same provider certainly makes life a little easier, but you should only do so if you’re getting a good deal. Like signing up for any energy plan, be sure to read the fine print, including details of any conditional discount that may be available for getting a dual fuel package from the same provider. It’s pretty common for the retailers to offer sign-up bonuses with dual fuel packages, including discounts for paying bills on time, by direct debit, or for receiving bills via email. You could also get a rebate on your first bill by signing up online. 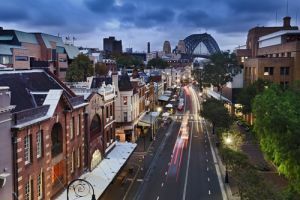 While there is intense competition between electricity and gas providers in some states – most notably NSW and Victoria – it’s important to know that some retailers will only offer natural gas as part of a packaged deal with electricity. This means that, if you want to go with two different retailers, it’s much easier to switch the electricity component rather than the gas one. You’ll also generally find more variations in electricity prices between retailers than with gas prices. To make sure you’re getting a good deal overall, make sure you compare a wide range of electricity and gas plans from different providers, and always read their energy price fact sheets for the specific details on charges, fees and conditions. Supply charges: This is what you pay just for being connected to the electricity grid or to mains gas. You will need to pay for both electricity and gas supply. These charges can vary significantly between states and different distribution areas, from as little as 80 cents a day up to more than $1.20 a day. Usage charges: This is what you pay for actual energy usage. For electricity, you will be billed in cents per kilowatt-hour (kWh) for usage, while for natural gas you will be charged per megajoule (MJ). Usage costs can vary dramatically depending on the type of tariff you’re on. If you’re a small household that doesn’t use much energy, pay particular attention to the supply charges of your gas and electricity plans as these could make up a higher proportion of your overall costs. On the other hand, if you’re a large household with medium to high energy usage, pay particularly close attention to the usage charges. Getting electricity and gas from the same provider can certainly be convenient, but here are some of the questions you may have before or after signing up. Generally, your energy retailer will send you two separate bills for your electricity and gas, as each bill will have its own account number. Depending on your energy retailer, you may receive your electricity bill monthly, while your gas bill could come quarterly, for example. Do I get billed for electricity and gas at the same time? You will receive two separate bills for electricity and gas given that your electricity and gas meters are read by different distribution companies at different times. These distribution companies then pass on the readings to your retailer for billing purposes. As a result, it’s most likely that you will receive gas and electricity bills at different times. Which’s cheapest: Electricity or gas? On paper, gas can be an incredibly viable option to power your home, but it has limited utility, while electricity can generate power for almost any application. Aside from rates, you should also take into consideration how much certain gas or electric appliances cost to purchase, and whether the running costs are worth the investment. If you’d like to learn more about how electricity prices compare to gas, read our handy guide. Is it cheaper to buy electricity and gas from the same provider? Paying for electricity and gas with the same retailer does not necessarily mean you’ll be saving on your overall energy costs. 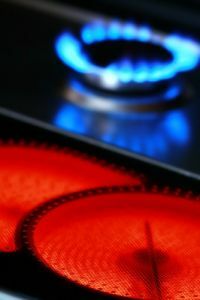 In some cases, energy providers offer incentives on dual fuel plans, such as double up discounts, but they could still end up being more expensive in the long run than taking out electricity from one retailer and gas with another. That’s why it’s imperative to compare electricity and gas plans separately to ensure you’re getting competitive deals on both counts. Do I get a discount for getting electricity and gas from the same provider? Some energy retailers may offer additional discounts for combining your electricity and gas, while others may provide other sign-up incentives, like customer rewards. Discounts aside, it’s always a good idea to check the fine print of the electricity and gas plan to make sure you’re not missing out on cheaper usage rates. 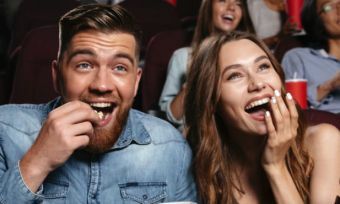 However, in some cases, a discount could be the point of difference in choosing one provider over another, particularly if the usage rates are already competitive. Canstar Blue surveyed 12,000 Australian adults across a range of categories to measure and track customer satisfaction, via ISO 26362 accredited research panels managed by Qualtrics. The outcomes reported are the results from customers within the survey group who have the same energy retailer for their electricity and natural gas, and they pay the bills – in this case, 3,342 people.